This beautiful Mirror is perfect for any Bedroom table. A large, thick wooden frame offers an assurance of quality and durability. The large, adjustable Mirror ensures versatility on any surface and adds a sense of space to any room. 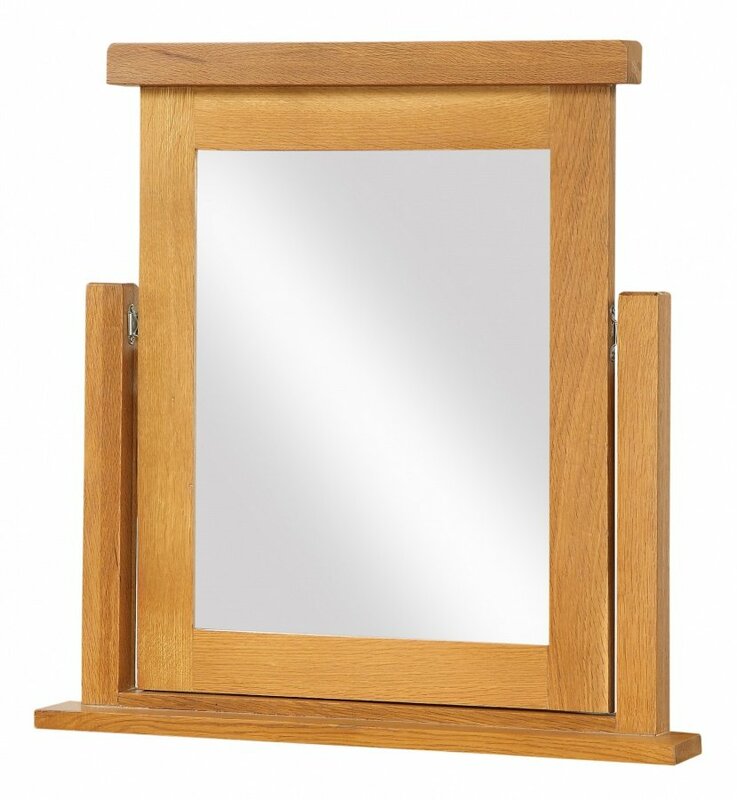 This Solid Oak Dressing Table Mirror has a timeless, rustic aesthetic to it.